Pre-heat the oven to 180c and line a tray with grease-proof paper. Combine the tapioca flour, coconut flour and salt in a bowl and mix well. To make the vegan flaxseed 'egg', combine the flaxseed and water and whisk till you get a gelatin consistensy. Leave to set for a few minutes. Add the milk, flaxseed mix and mixed herbs to everything and mix well to form a dough (it doesn't have to be totally firm). 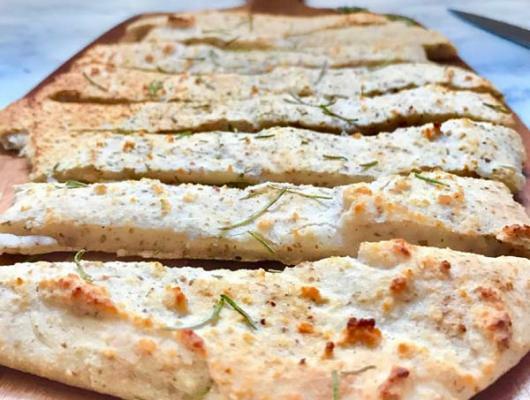 With the back of a large spoon, spread the bread mix onto the tray, sprinkle on the rosemary and place in the oven for approximately 20-25 minutes or until thoroughly baked. Once removed, serve with hummus or anything of your choice. 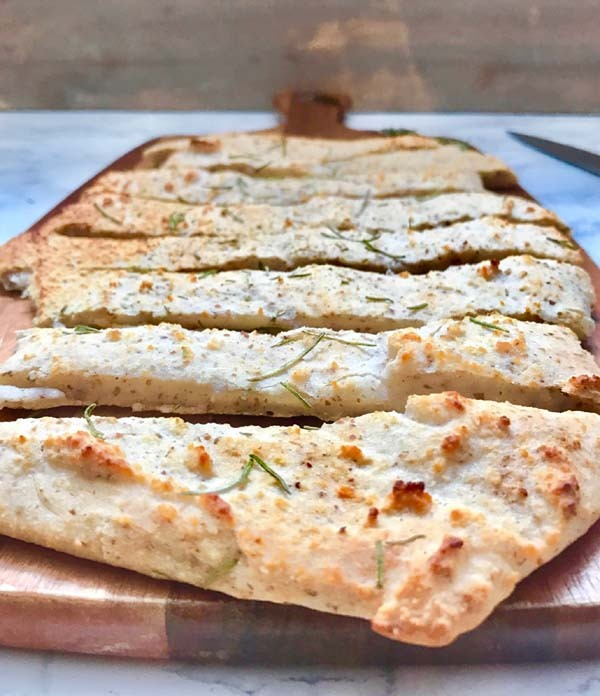 Oven baked bread is delightful but nothing compared to this gluten and nut free, vegan and paleo delicious oven baked flatbread!